We used Duration® Exterior Acrylic Coating for the painting job featured above. We received a lot of compliments on this job we completed in Connecticut. A new roof, new gutters, and a new exterior paint job. The customer, and neighbors, were very pleased. S.O.S. 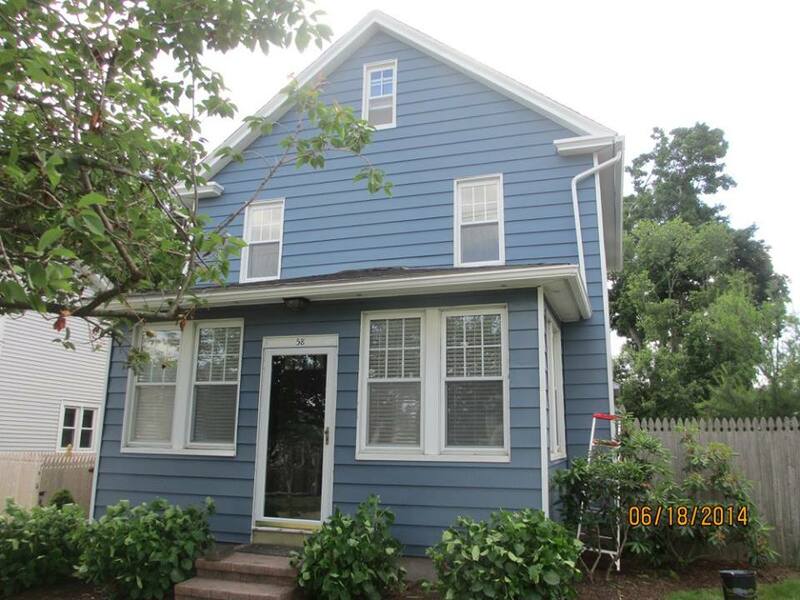 RESTORATION Proudly Serves West Haven, CT. 25+ years experience in Home Improvement and Property Maintenance, including: Interior Painting and Exterior Painting. All Work Guaranteed! S.O.S. Restoration also installs: Roofing, Siding, Windows, and Gutters. Chimneys Rebuilt. A freshly painted room changes the overall feeling of the room. 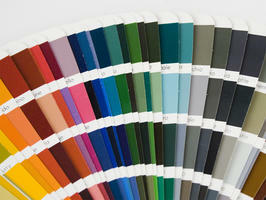 There are many things to consider when choosing which colors would be best for a particular room. One thing to consider is the lighting. Does the room get a lot of sunlight? Do you want a color that will make the room feel cooler in the summer? If the room is less well lit, you might want to choose a color that makes the room feel brighter. The color can also transform the perceived space, it can make a room feel larger than it is, or smaller and cozier. Color can energize the room, or it can make a room feel more relaxing, depending upon what the room will be used for. Consider painting one wall a different color then the rest of the room, an accent wall can add character to the space. S.O.S. RESTORATION will be happy to work with you to help you decide which paint products and colors are right for your next painting project. S.O.S. RESTORATION has been serving western Connecticut for many years, and has over 25 years experience in home improvement and business property maintenance, including: Roofing, Siding, Windows, Gutters, and Interior and Exterior Painting. S.O.S. RESTORATION is a local family business. We take pride in our work and strive for perfection. We have competitive prices at very reasonable rates. We are able to keep prices down because we do much of the work ourselves, only hiring extra help for larger jobs. We look forward to hearing from you about your next painting project: 203-828-8430. Benjamin Moore paints and painting products can be bought locally in West Haven at: RING'S END 460 Elm Street West Haven, CT, or in Woodbridge at: WOODBRIDGE HARDWARE 219 Amity Rd. Woodbridge, CT. The better the resins (binders that make the film and finish of paints) and colorants (the pigments that give the paint its unique color and hiding characteristics) the better quality and performance. Easy to apply products with coverage that saves time and money. Low odor products without that lingering paint smell. 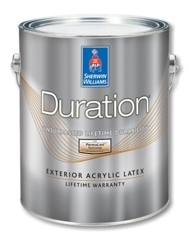 Paint that is durable, washable and scrub-able to keep walls in mint condition. Color that unfailingly delivers "oohs" and "aahs"
Our independent retailers provide inspiration and support along with service and tools that give customers confidence about their product choices, color selections, and their ability to get the best results possible. The expertise, product wisdom, and store environment of our independent retailers ensure that you get the right product, right color, and right result. We're committed to developing products that minimize our impact on the environment. Years before government requirements, we eliminated lead, formaldehyde, and mercury from our paints and met VOC standards. S.O.S. RESTORATION painted this house in West Haven, Connecticut. Also, S.O.S. RESTORATION installed a new roof on the garage, and installed a couple of new windows. S.O.S. 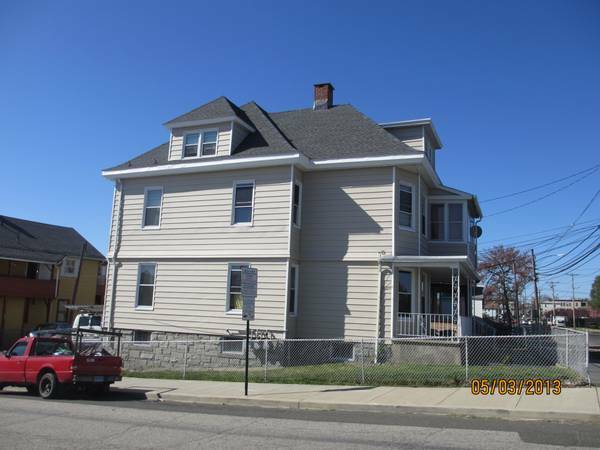 RESTORATION has done many jobs in West Haven, CT including: House painting and power washing, installing siding, installing drywall, finishing drywall, interior painting, installing windows, new roofs installed, gutters installed, and roof repairs. S.O.S. RESTORATION proudly serves New Haven County Connecticut, including the town of West Haven, CT.
S.O.S. 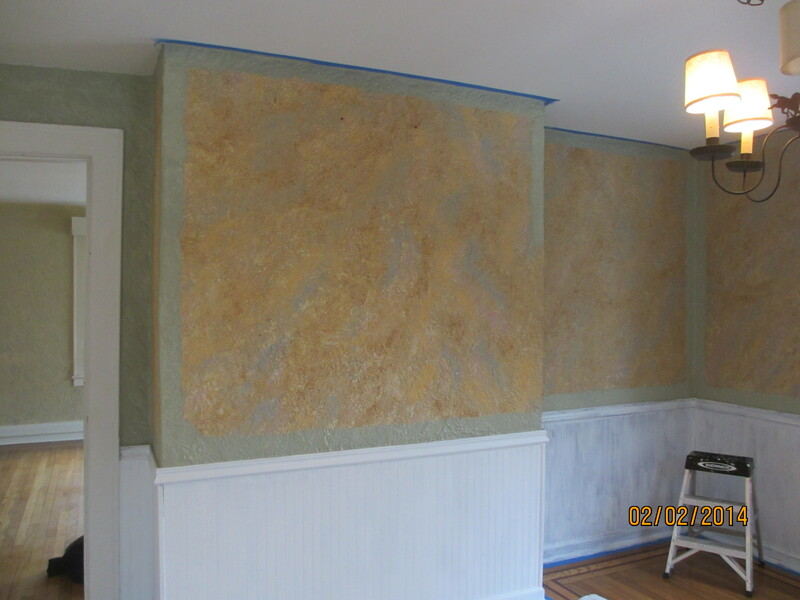 RESTORATION installs drywall in West Haven, Connecticut. Drywall, also sometimes called sheetrock, wallboard, or plasterboard, came into widespread use in the 1950's. Drywall panels come in different sizes and thicknesses. 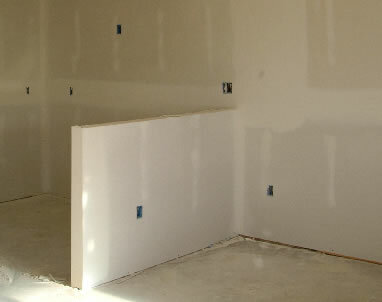 The standard and most common size of drywall is 8 feet by 4 feet. The standard drywall thickness is 1/2 inch. Drywall can come in lengths up to 16 feet, but not all drywall suppliers carry the larger sheets. 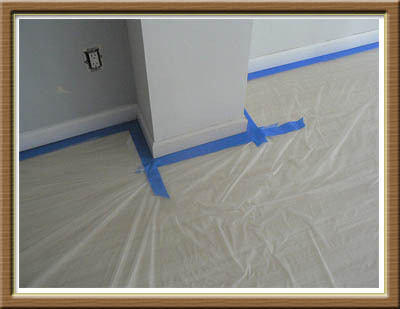 Larger sheets can be more difficult to hang, but will result in the need for less taping. This is often the best way to go if you have a larger space that needs sheetrocking. S.O.S. 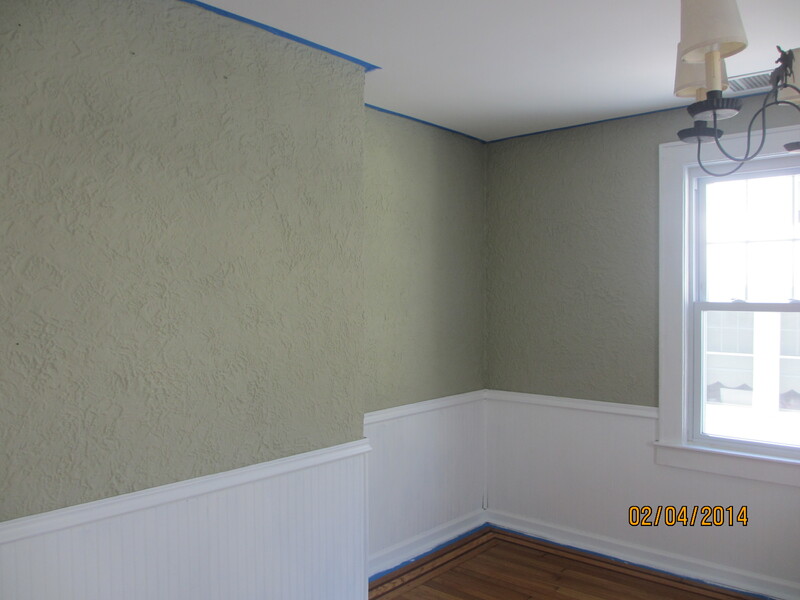 RESTORATION installs and finishes drywall in West Haven, CT.